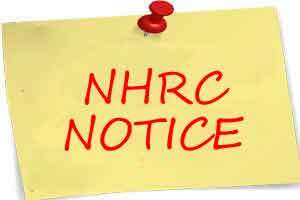 New Delhi: The National Human Rights Commission (NHRC) has sent a notice to the commissioner of the North Delhi Municipal Corporation and an NDMC hospital over reports that it is running without necessary equipments. Taking suo motu cognizance of the reports, the NHRC has observed that the content of the media reports, if true, raise serious issue of “violation of human rights”. The notice from the rights panel comes at a time when the BJP posted an emphatic victory in the elections to the municipal corporations, which it has been ruling for the last 10 years. The commission has issued notices to the commissioner of the NDMC, and the medical superintendent of the Hindu Rao Hospital, and sought a detailed report on it within four weeks. “Reportedly, an amount of Rs 32 lakh was sanctioned by the standing committee (of NDMC) last year but the instruments have not yet been purchased,” the NHRC said, quoting from the report. The Hindu Rao Hospital is one of the oldest and biggest hospitals in Delhi and fall under the jurisdiction of the NDMC. The commission has also observed that the right to health is integral to rights to life and dignity. “The Hindu Rao hospital is considered as one of the oldest and biggest hospitals in Delhi. A large number of poor patients approach the hospital, daily for health and medical care needs. “Allegations about the pathetic condition of such a significant institution, indeed, indicate violation of right to healthcare of the general public, the NHRC said.